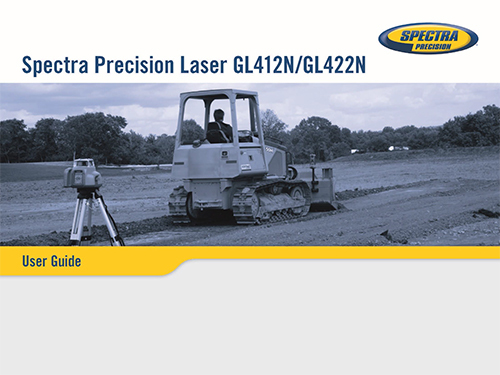 The automatic, self-leveling Spectra Precision® GL412N-NR single grade lasers is the most rugged, cost-effective lasers that do three jobs—level, grade, and vertical alignment. 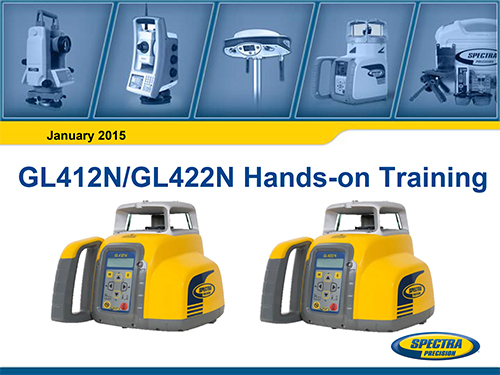 Even in harsh jobsite conditions, the GL412N-NR delivers consistently reliable and accurate performance, enabling you to work faster and smarter. 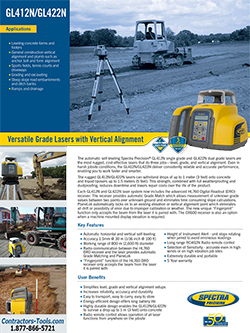 The rugged GL412N-NR lasers can withstand drops of up to three feet onto concrete and tripod tipovers up to five feet. This strength, combined with full weatherproofing and dustproofing, reduces downtime and lowers repair costs over the life of the product. 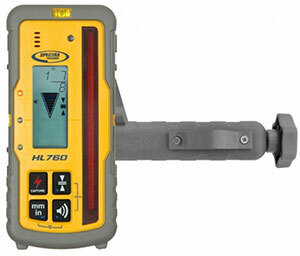 Grade Match: Wireless communication between the HL760 receiver and the transmitters provide automatic Grade Match which connects different elevations and will actually calculate and display grade values between two points when using the GL412N and GL422N. PlaneLok: For applications that require maximum stability and accuracy is available on the horizontal Y-axis and in both vertical planes. PlaneLok automatically locks the beam on the DRO receiver and keeps it on-grade, reducing typical environmental factors that may induce an error. 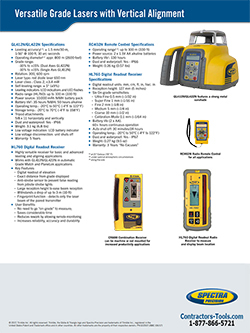 PlaneLok for vertical alignments provides quick, accurate set-up and easy control. 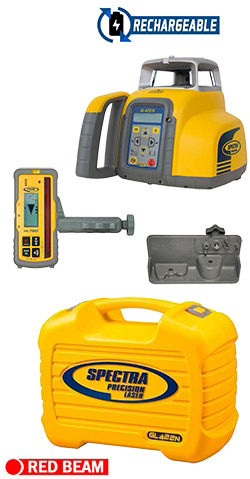 Also provides the ability to quickly set up a vertical plumb or slope reference. NOTE: The automatic grade match feature requires two people or a bi-pod grade rod holder to perform this feature without a remote control. Warranty 3 Years "No Excuses"